It’s easy to feel somewhat Parisian when you tuck into artisan cheeses. But you don’t have to visit the French city or even go to a restaurant to enjoy the authenticity of the eating experience. Brie, smoked gouda, aged cheddar, bocconcini – you know your favourites and how you like to eat them. All you have to do is pair them with some crisp light crackers and bite into a savoury delight, right on your patio. 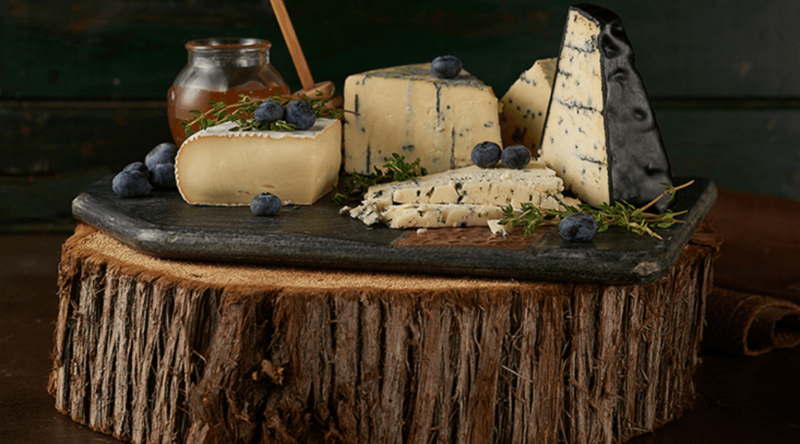 The Dairy Farmers of Canada are the creators of some of the country’s finest cheeses. And they’ve put together a pretty special package for Canada’s 150th birthday. Yes, the ultimate cheeseboard sensation could be yours to enjoy at home, simply by entering the contest below. The lucky recipient will win a custom made Canada shaped wooden cheese board and three Canadian artisan cheeses valued at $200. Win a Canada 150 cheese package for @dfc_plc via #dishedtoronto @DailyHiveTO http://ow.ly/pPU130d5JOw RT to enter! Contest entries will be accepted from the time and date of publishing until 11:59 pm on July 13, 2017. One winner will be chosen at random and contacted through the platform they used to enter. Please note, you must be 19 years or older to enter; merchants will verify age prior to releasing prizing. For more information on the work of the Dairy Farmers of Canada, visit the organization online. And to get the latest updates, check out the association on Twitter and Facebook.